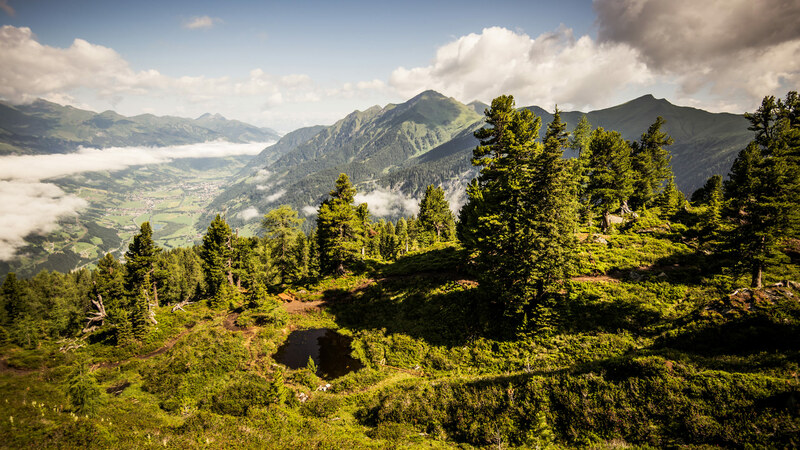 Das The Gastein Valley, located in the countryside of Salzburg, Austria is without a doubt one of the most rewarding and impressive hiking areas in the alpine region. Here, hikers will find a rich variety of trails, from gentle grassy slopes to mountain pastures connecting the charming valley promenades to the high alpine terrain. The unspoilt landscape, surrounded by the magnificent Hohe Tauern Mountain Range, numerous crossings into neighbouring valleys and Carinthia, as well as many alpine club routes, guarantees a unique and varied hiking holiday in the Gastein Valley. Nature lovers and those seeking relaxation will experience Salzburger Land at its best during a summer holiday with children in the Gastein Valley! A long time ago the Gastein Valley was formed and shaped by glacier ice. Today, hikers will find a unique variety of high and side valleys, surrounded by impressive mountain peaks, widespread meadows and forests. With its one of a kind nature idyll and its diverse mountain landscape, the Gastein Valley will leave a lasting impression on anyone who comes to visit. Our service will make your family holiday in the Gastein Valley a real treat. 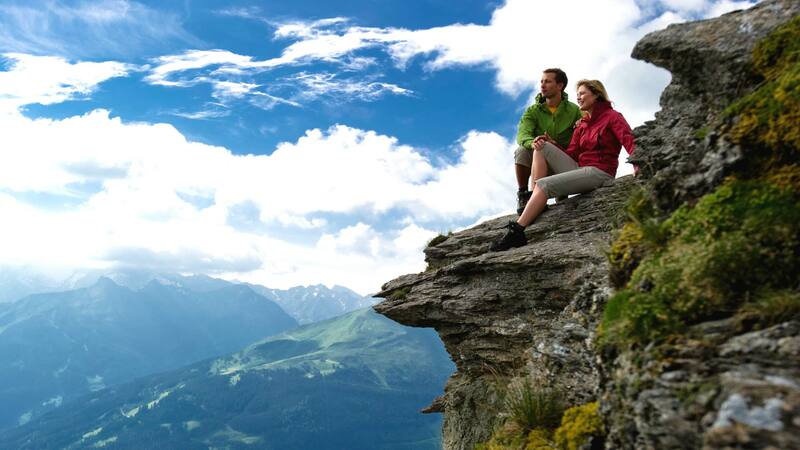 Gastein was awarded with the austrian hiking hallmark of excellence. The atmosphere atop the Graukogel Mountain in Bad Gastein is characterised by its local pine tree population. These trees have a soothing effect that is good for your heart and your health. Furthermore, the pine trees create a romantic mood around the mountain. You will find this 45-minute trail at the summit station of the Graukogel cable car. Take breaks at all the romantic spots along this trail, discover different pine tree swings, make use of the many individually-crafted pine tree seating areas or try out the grand outdoor pine tree four-poster bed. The trail leading around the summit station rewards you with one panoramic view after another. Enjoy a 360-degree view of the surrounding mountain landscape and stop at the “Glocknerblick” observation deck, which opens up to a view of the highest peak in Austria, the Grossglockner Mountain. 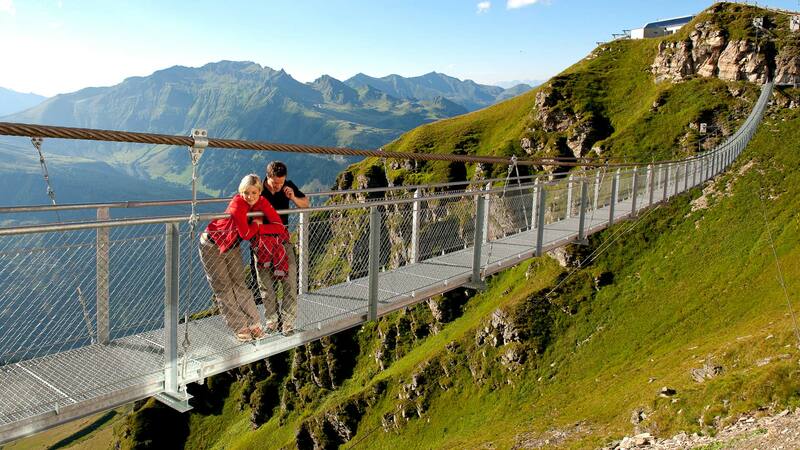 You’ll need a little courage when crossing the 140 m suspension bridge and the cliff-face trail. Hikers will find the 250 m2 Fun Centre at the summit station, offering lots of entertainment on your family holiday. Here, children can burn their energy playing table football, air hockey or exploring in the climbing area. The most varied of the four mountains is the Schlossalm Mountain Pasture in Bad Hofgastein. Those who are very observant during their walk around the Schlossalmsee Lake will, with a little bit of imagination, see hidden rock formations in the shape of animals. Those spending their summer holidays with children will be delighted at the large adventure playground at 2,050 m above sea level, with everything a child’s heart desires: a slackline park, net swing, hammock, giant bouncing pad, climbing tower and much more. Those who like to keep active have a choice of different climbing routes, suited both for beginners and advanced climbers – the difficulty is up to you. In the autumn, when the farmers of the region bring in their last harvests, there is a great variety of traditional events based around farming customs across the entire Gastein Valley – from 25 August until 2 November. When the alpine pastures in the Gastein Valley turn into a stage, it’s Alpine Pasture Classic time. Enjoy folk and classical music on one of the many cosy alpine pastures, surrounded by the beautiful Gastein Mountains. The Alpine Pasture Classic events take place between 25 August and 9 September, 2018. What is usually only possible for skiers in winter will be possible in summer for hikers again this year, from 7 July until 2 September: cable car hiking through the Gastein Valley. 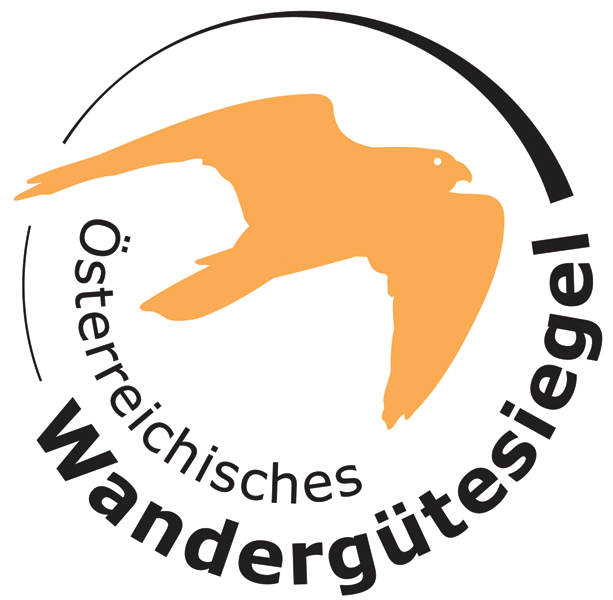 Enjoy many attractions, such as the suspension bridge, the “Glocknerblick” viewing platform and the adventurous cliff-face trail along the Stubnerkogel Mountain, as well as mystical rock creatures, circular footpaths and climbing routes – all in one day. The “Hiking Swing” ticket allows you to use all three cable cars for € 27 (adults) and € 15 (children), plus a € 3 key card deposit. There is a bus connection to the Angertal Valley. The leisure activities at Fulseck are all about water, wind and earth. You can exercise your sense of balance by crossing the Spiegelsee Lake on the wobbly pathway. Your thirst for activity will be quenched on the climbing tower, the swing and the slackline. Whilst your children are off exploring the playground, you’ll find great seating elements to relax on at the Spiegelsee Lake. Kids of all ages have the opportunity to chisel small crystals out of rocks in the crystal exploration area, equipped with a backpack and hammer. The kit is available from the lower terminus. More adventure is to be had whilst paragliding, hang gliding or mountain biking. Get to know the fascinating world of the Hohe Tauern Mountains, right in the middle of the Austrian Alps. 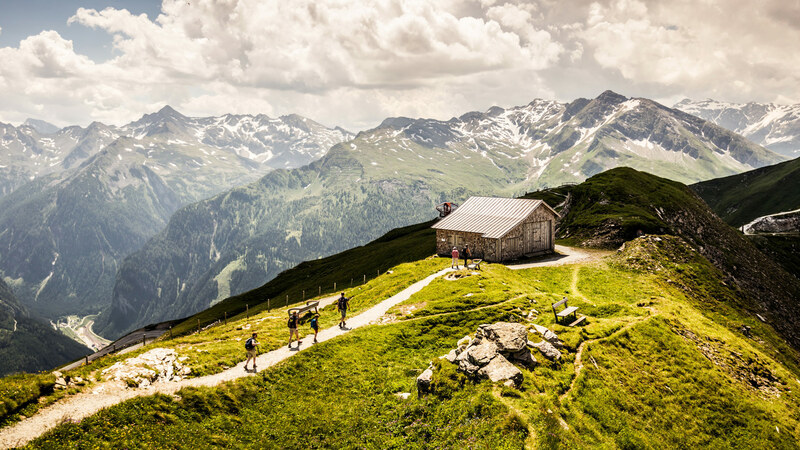 The mountains in and around Gastein offer a diverse variety of hiking trails to suit every taste – whether for trained athletes, individuals or families spending their summer holidays with children. The fresh mountain air will make you hungry for the home-made delicacies served by the dairy women at the 45 alpine huts in Gastein, which are still traditionally run to this day and remain open from May until late autumn. The Gastein hiking guide includes lots of information about them and is available at the reception of the Hotel Bismarck. Families spending their summer holidays with children will love the Pongi-Club and the many family-friendly alpine pastures, which can be easily reached via the Gastein cable cars. You don’t often find a mountain view as easy to reach as the one atop the Gamskarkogel Mountain (2,467 m). The view doesn’t just cover the entire Hohe Tauern Mountain Range but the northern Limestone Alps as well, from the Wilder Kaiser Mountain to the Dachstein Mountain. You start your ascent from Bad Hofgastein up the Gamskarkogel Mountain to the “Annen Café” at 1,074 m. Follow the signposts until you reach the Rastoetzenalm Pasture at an altitude of 1,743 m. Here, you have the choice between the direct route up the Gamskarkogel Mountain – total duration about 4 hours – or ascending via the Schmalzscharte trail (2,159 m) and the Frauenkogel Mountain (2,424 m) up to the Gamskarkogel Mountain – this takes about. Gastein has been certified with the hiking hallmark of excellence for Austrian hiking villages since the spring of 2018. As part of this certification, a mountain hiking experience was created that is not often found in the Alpine region: the Gastein Trail. Every step takes you further – that’s the fascination of hiking. Over gentle meadows; to traditional alpine huts; and up impressive summits. Whilst visiting us at the Hotel Bismarck on your family holiday, walk through the three villages of Bad Gastein, Bad Hofgastein and Dorfgastein. These villages are as diverse as the landscape that surrounds them: hikers will experience every kind of recreation that can be found in the great outdoors. Every metre you walk strengthens your body and soul. On the Gastein Trail you’ll feel this experience like nowhere else. Those walking along the western side of the Gastein Valley, from Dorfgastein toward the Hohe Tauern Mountain Range, will see views once reserved for pioneers and explorers: hidden basins that provide for a magnificent landscape. And grassy slopes connecting high alpine terrain to charming promenades. In six daily stages, the Gastein Trail will lead you from Dorfgastein, high over Bad Gastein to Bad Hofgastein, covering a total of 75 km and 4,643 vertical metres. Hikers mastering this route are awed by a backdrop that once attracted emperors and princes, enjoying a unique mountain world along the way – with natural experiences that will recharge your batteries and fill you with new energy. 7.000m² garden area & five sun terraces. Discover the many possibilities.